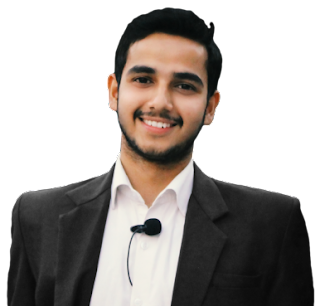 Surya Pratap Singh is an Indian trainer, cyber security expert, author, mentalist and 21 year old entrepreneur. He is the founding father and CEO of Aezowie Infotech Services Private Limited, a company that provides network security, development and designing services to corporations. He is likewise a frequent technology writer in the Indian media. At the age of 16, Surya developed his first computer software for his school. He was failed in 12th boards but turned out to be successful. He’s an expert in ethical hacking, art, mentalism, software development, and graphic designing. 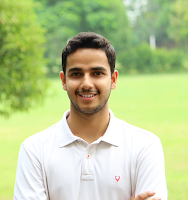 He was graduated in 2018 from MIT College, Uttar Pradesh, India. Surya grew up in Uttar Pradesh and was studied in one school in Haldwani (8th, 9th and 10th) and in another school in Moradabad (11th and 12th). He is an inborn artist and at the age of 16, he developed his first computer software for his school. He says he began taking an interest in hacking after a year of playing computer games when he read an article about Ankit Fadia. He soon started a blog myfusionarts.blogspot.in where he wrote hacking and technology related tutorials, which acquired many readers and encouraged him to move forward in his field. Surya was studied Computer Science at the MIT College, Moradabad. While there, he started educating students about cyber security, graphics, development & Mentalism through his workshops. He believes that every domain is connected to each other and it is the knowledge that can be applied that matters. Surya is an entrepreneur who founded Aezowie Infotech Services Private Limited, an IT company that provides network security, development and designing services to corporations. Some of his clients are Government of India & Sainik Enterprises. He helped the Indian Government to secure the official Startup India website from a security risk. Surya's company specially focuses on young student's & children's to rise them up & helps them choosing passion over peer pressure. According to Surya, young India has too much potential & his company Aezowie is harnessing that potential and energy to push the human race forward.